The man-made bend in Mill Creek will be corrected. MYCB photo by Dan Thesman. WALLA WALLA, Washington – The landscape along Mill Creek Road east of Walla Walla will take on a slightly different look this fall. Walla Walla County Public Works is hard at work replacing both the Blue Creek and Mill Creek bridges at a cost of approximately $9.7 million, which is being funded by county and federal dollars. The Blue Creek Bridge project will replace the existing 80-foot bridge with a single-span, 131-foot bridge. Both roads will be realigned and widened. The Mill Creek Bridge will replace an existing 100-foot bridge with a single-span, 168-foot. Bridge, relocating the bridge south to the original channel. Mill Creek Road will also be realigned and widened. Temporary detour bridges will be provided at both sites. Walker said the plans for the Blue Creek Bridge date back to 1947 and the Mill Creek Bridge has the year 1958 stamped into it. The project also includes removing and installing new culverts, grading, crushing and placing crushed surfacing and other work. However, another big part of the project is straightening and widening a portion of Mill Creek Road itself. 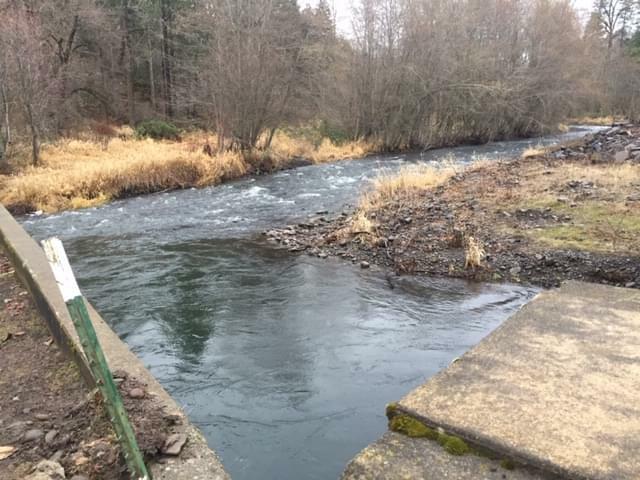 In reference to the Mill Creek Bridge replacement, Kimball pointed to the fact that the current bridge has a concrete abutment which literally changes the flow of Mill Creek 90 degrees as it winds from the Blue Mountains towards Walla Walla. In years past, trees and limbs come down Mill Creek when the water is high and hit that concrete abutment and just stop, causing a dam of debris restricting the flow of water under the Mill Creek Bridge. With the installation of the new Mill Creek Bridge, the problems with the abutment will be eliminated.